Celebrate in style with tastefully coordinated party entertainment, balloon decoration & makeup services. 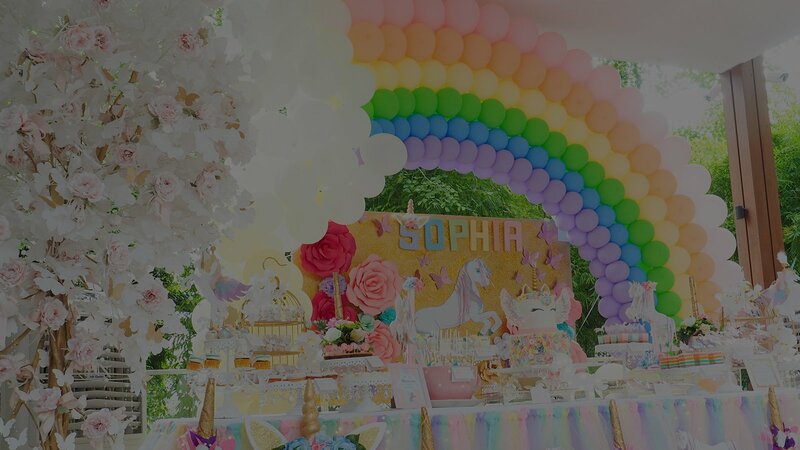 Book your party planner at Happier Singapore today! Thank you Happier Singapore for delivering a 5 star service and fun at Amelia's Birthday. The pony body painting was so professional and they are looks so colourful and cute. The balloon sculptures are also as awesome. You can really order whatever you want. Kids just love crowding around you. big thank you once again! Wei Min was the perfect Ballonist! She made such a gorgeous unicorn for me and was always willing to twist out any request, from Elsa (Frozen) to Charmander. Thank you Shaomin n Harishma for doing a fantastic job for my daughter 4th birthday party ! The kids and adults definitely enjoyed it . You guys are so talented n keep up the good work! Hope to engage you guys again! Doris is awesome! She arrived early for the party and the kids simply adore her! There was a long queue for her balloons and they were all very well done! All our guests had raving reviews about her and we are very pleased with her work! Highly recommended! Thanks to Doris for making my party a fun one! Not only are the kids fascinated by the balloons she made, even the adults are impressed. The turtle balloon she made for my girl was a masterpiece on the desert table!! Awesome! Tricia came to facepaint at my daughter's 4th birthday party and was brilliant. On time, friendly and great with all the kids. But most importantly she did a great job on all of their faces and was really quick! Happier Singapore is the only event and party planner you’ll ever need. From private parties to corporate events, our secret sauce to fabulous celebrations starts with party planning done right. 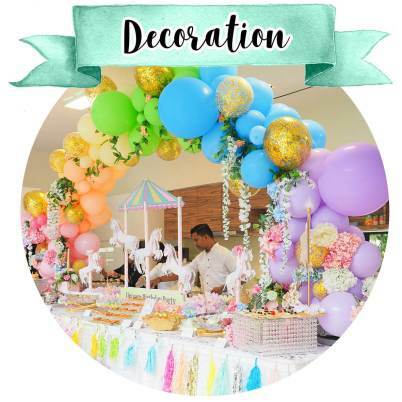 Enjoy our one-stop convenience of customised party decorations, fun-filled entertainment services plus everything managed end-to-end for you. There are endless ways to plan a party, but our ethos is always the same: your happiness comes first, and we will do everything possible to achieve just that.Organising all sorts of parties and events is what we do best. And our favourite kind celebration would be kids birthday parties! As parents, we always want the best for our children. Every birthday party is a chance to make our little ones the happiest child on earth before they grow up too fast. Creating memorable and fun-filled celebrations to be cherished with family and friends for a lifetime is definitely the best gift we can give to our children. When organising your event or party, our amazing range of decoration and entertainment services is designed to help you throw unique party experiences in any theme you can dream of. Our huge variety of interactive entertainer programmes, fun-filled activity booths and customisable decoration services is guaranteed to liven up any celebration! Our services don’t just stop at planning and conceptualising your event. We can help in the event management and coordination of your preferred third party vendors and caterers so that you can truly relax and enjoy your celebration. You can also choose from our in-house carnival snack stalls like popcorn and candy floss machine rental, ice cream cart rental or local old school delights that will bring a festive atmosphere to any party. For night events, you can have your guests glowing with excitement, quite literally! 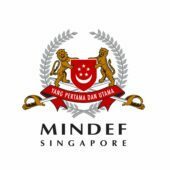 We are the first event company in Singapore specialising in glow in the dark party entertainer and decoration services. Ranging from glow in the dark photo booth, tattoos, face paint, festival makeup, hair art, nail art or even glowing balloon arches and life-sized sculptures, we have pretty much everything you’ll need to organise an immersive glow in the dark party experience. 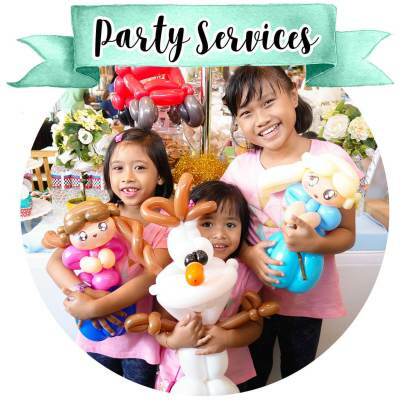 We offer a full suite of services for planning the most complete, fun and exciting birthday parties and corporate events. To top it all off, you can also get yourself a movie-inspired themed makeover or temporary body modification with our makeup services. Dressing up for the occasion is made easy when you know just the right party planner. 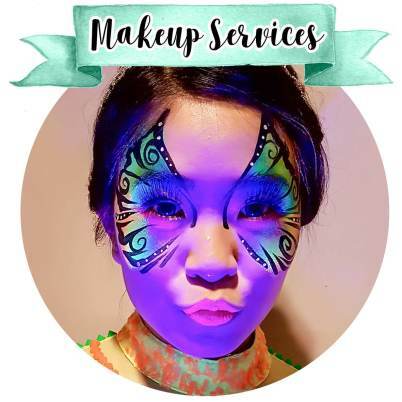 We’ve got the creative makeup artistry right up our sleeves to transform you into anything you can think of. As your event planner or party organiser, we strive to listen to what you want. Tell us your ideas and let us do the planning together. Your happiness is always our priority. When you are ready to kickstart your happier party experience, drop us an email at sales@happier.sg or call +65 9271 7106 for a chat with our friendly team.